Apollo Bay is a coastal town in southwestern Victoria, Australia. Kick off your visit on the 1st (Sat): trek along Great Ocean Walk, trek along Mait's Rest, and then take some stellar pictures from Mariners Lookout. To find photos, maps, and other tourist information, you can read our Apollo Bay trip itinerary app . Kuala Lumpur, Malaysia to Apollo Bay is an approximately 15.5-hour flight. Traveling from Kuala Lumpur to Apollo Bay, you'll lose 2 hours due to the time zone difference. Finish up your sightseeing early on the 1st (Sat) so you can go by car to Torquay. Start off your visit on the 2nd (Sun): admire all the interesting features of The Great Ocean Road, take some stellar pictures from Bird Rock Lookout, and then let the kids burn off some steam at Torquay Foreshore Play Park. 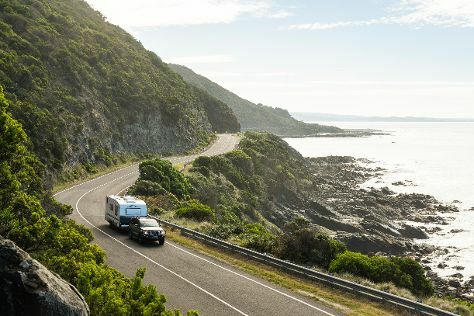 For photos, traveler tips, other places to visit, and other tourist information, you can read our Torquay online tour itinerary builder . You can drive from Apollo Bay to Torquay in 1.5 hours. Alternatively, you can take a bus. Expect a daytime high around 16°C in June, and nighttime lows around 6°C. Cap off your sightseeing on the 2nd (Sun) early enough to travel to Rosebud. On the 3rd (Mon), play a few rounds at Rosebud Park Golf Course, admire the natural beauty at The Enchanted Adventure Garden, then hike along Cape Schanck Boardwalk, and finally explore and take pictures at Hart's Farm. To see other places to visit, traveler tips, ratings, and more tourist information, you can read our Rosebud trip itinerary planning site . Traveling by car from Torquay to Rosebud takes 2.5 hours. In June, daily temperatures in Rosebud can reach 16°C, while at night they dip to 7°C. Wrap up your sightseeing on the 3rd (Mon) early enough to travel to Melbourne. 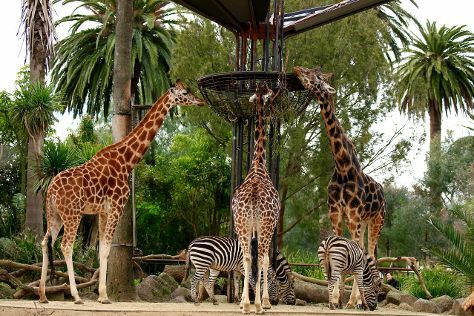 Attractions like Melbourne Zoo and Melbourne Museum make great kid-friendly stops. And it doesn't end there: take in nature's colorful creations at Royal Botanic Gardens, get your game on at Zero Latency, let your taste buds guide you at a local gastronomic tour, and enjoy breathtaking views from Eureka Skydeck 88. For maps, ratings, and other tourist information, read Melbourne online attractions planner . Traveling by car from Rosebud to Melbourne takes 1.5 hours. Expect a daytime high around 16°C in June, and nighttime lows around 6°C. Wrap up your sightseeing by early afternoon on the 7th (Fri) to allow time for travel back home.